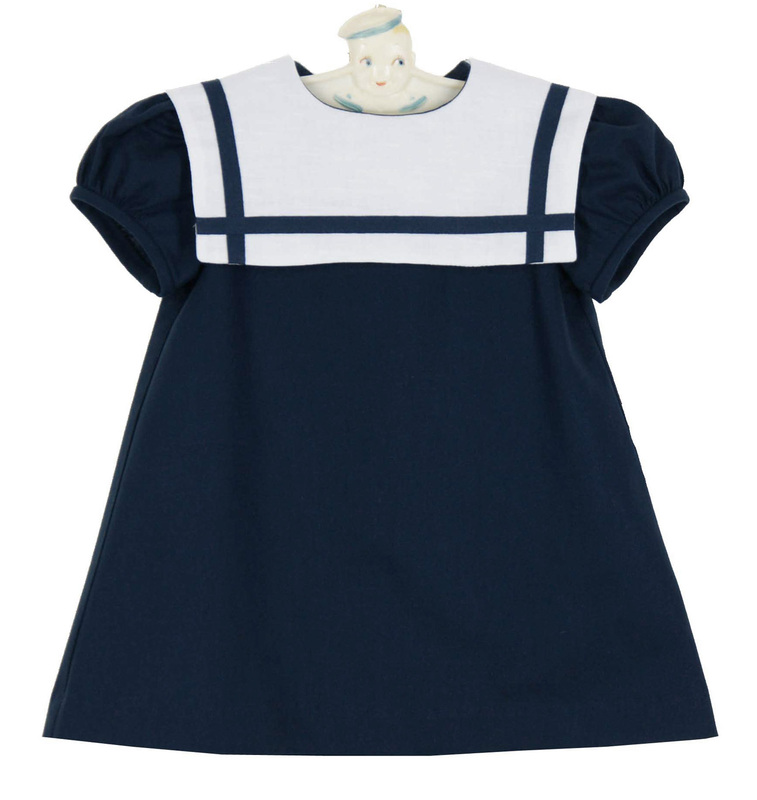 This darling navy blue linen blend sailor dress is made by Funtasia, a leading manufacturer of classic children's clothing. Made in simple A-line style, the dress has short puffed sleeves and a white portrait collar trimmed with navy. 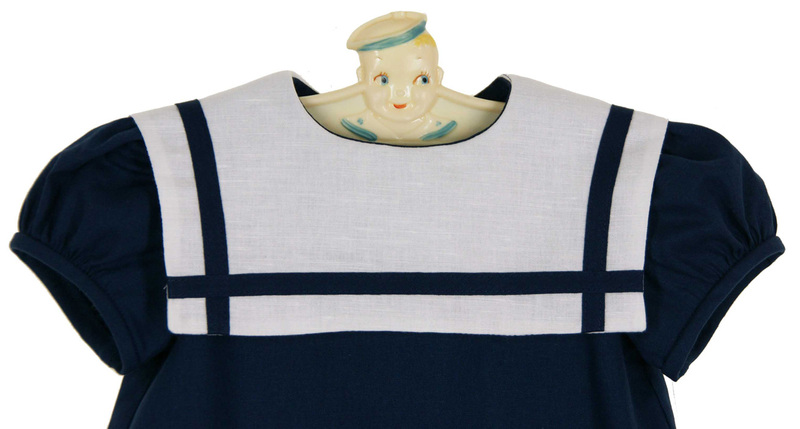 It has a back buttoned closure. Note: Coordinating romper and shorts set are also available. See below.